Criss, Cross Mangosauce is an education company founded by two Latina moms whose mission is to foster children's love of language, culture, and arts through bilingual programs and products. Ana Lucia Divins and Irania Macías Patterson are enthusiastic and passionate teachers who bring bilingualism and biculturalism to life for their students and audience. Originally from Venezuela, Irania is the Artistic and Educational Director of the company. She's also the Bilingual Children's Coordinator at the Charlotte Mecklenburg Library. Ana Lucia is originally from Colombia and is the Managing Director of Criss, Cross Mangosauce. Both women are wonderfully talented. Their interactive programs are lively and engaging, and they even have their own band! They are the only bilingual children's band in the Carolinas. You can watch a snippet of their performance on their website. And in case you're interested, they do have their own bilingual album, which you can buy or download on CDBaby.com. The music is great and the lyrics are designed to teach children Spanish. A great resource for Spanish learners! The second story is very timely, I think, given that Father's Day is only a few weeks away. (Is the year really almost half over?!?) 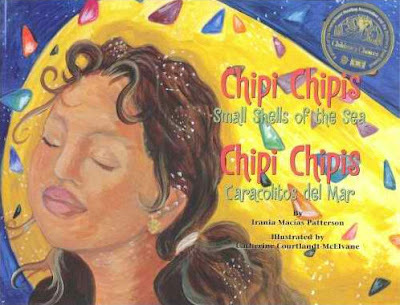 Chipi Chipis: Small Shells of the Sea, Chipi Chipis: Caracolitos del mar is the sweet and simple story of a young girl and her father enjoying a special moment as they head to the beach in search of chipi chipis - a small clam found in Venezuela - to use in a family soup recipe. The joy and love each one has for the other is felt throughout the story. And at the end of the story, Irania includes her recipe! And, yes, this book also includes full text in both English and Spanish. Parents and teachers can use this story when studying relationships, geography, culture, Venezuela, the beach, recipes, and more. I also want to add that the illustrations in both book are remarkable. Even though they are both illustrated by Catherine Courtlandt-McElvane, each one is very distinctive and beautiful. 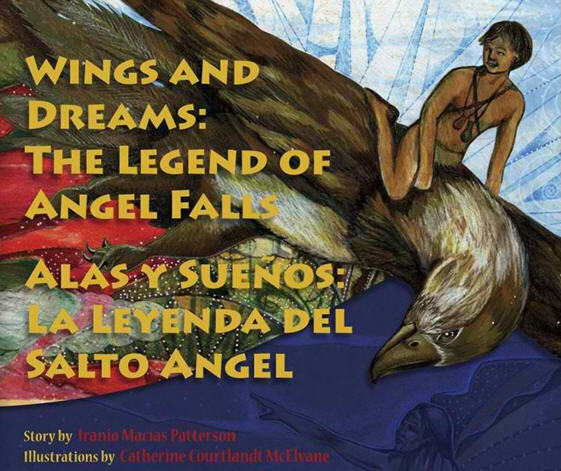 To purchase a copy, click on the titles above to go to their website for ordering information. Disclosure: Both books were sent to me by Criss, Cross Mangosauce for review, as was a free download of their album. All opinions expressed above are strictly my own.